Grave location or memoria location Buried at Pieta Military Cemetery, Malta, C.V.II.1. Any other information? 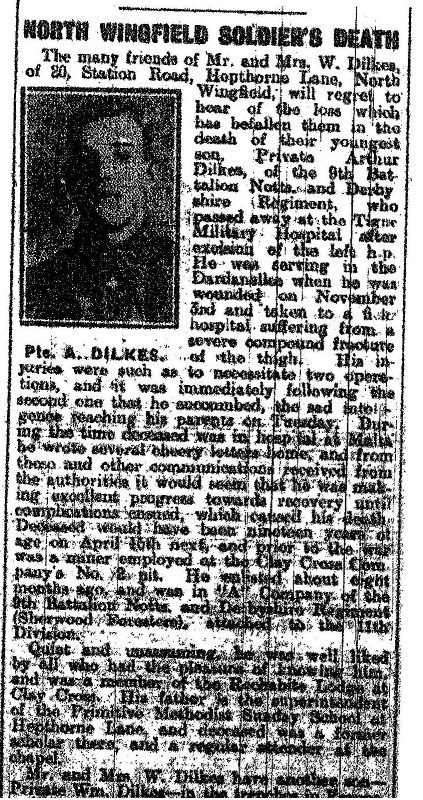 His name is misspelt Dilks on Tupton;s memorial. Wounded in the thigh in Gallipoli on the 3rd November 1915, he was treated in a field hospital, and then transfered to Malta Hospital, where he died after a second operation. Pre war occupation was a miner at Clay Cross Company No. 2 pit. 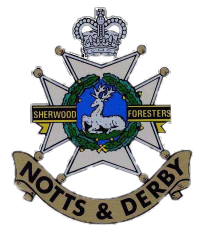 He was also a member of the Rechabite Lodge at Clay Cross. He had a brother called William, who was also killed in action later in 1916.